Tucker Carlson is one of the most admired people in the conservative world! And he is without question our best defender when it comes to the attacks made by the MSM! Today he was speaking with Cathy Areu, publisher of Catalina Magazine about the New Gender-Neutral Designation for Children. 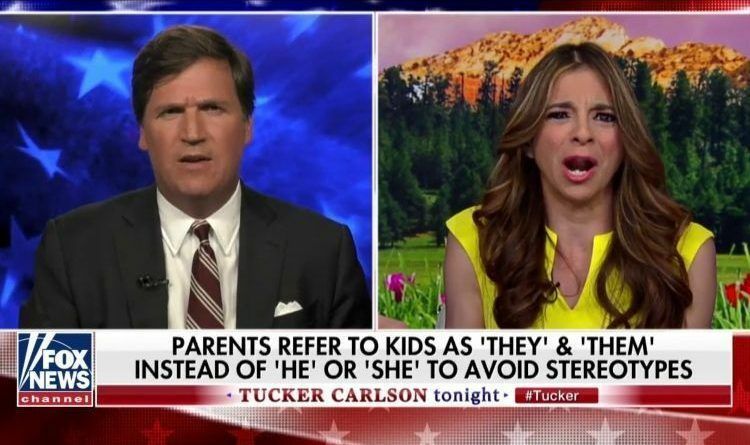 The idea behind a “theyby” — as opposed to a “baby” — is that only the child itself should be able to decide its gender. “It’s about allowing the baby to decide what gender that baby wants to be when that baby can decide, which is around four years old,” said Cathy. “Why would you not tell your kids about that?” Carlson asked. “Around zero to four, we’re not going to say to a little girl that ‘You’re a little princess’ or to a boy, ‘You’re such a tiger. '” she responded. “We acknowledge biology and nature as real, right?” Tucker asked. Funny how they want the baby to be a “little human” when it comes to gender but not when it is in the womb and they want to kill ” it”.